Franklin Matters: "If I could tell my seven-year-old self one thing it would be to refuse to shrink"
"If I could tell my seven-year-old self one thing it would be to refuse to shrink"
In a random scroll among the Twitterverse, I stumbled upon this contest. There is time to apply! 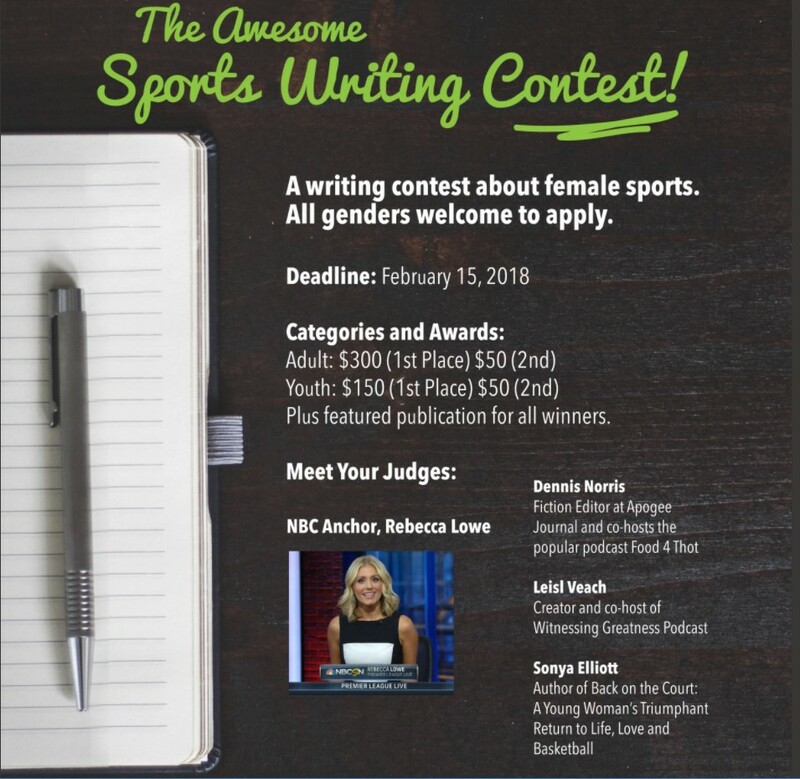 "In our continuing efforts to inspire and promote voices in girls’ and women’s sports, the Awesome Sports Project is excited to launch the Awesome Sports Writing Contest. Male and female writers of all ages and level of writing experience are welcome, but the submission must be nonfiction and about girls’ and women’s sports. The work must be previously unpublished in any form. The reading fee is $7 per entry, and will help us with the cost of running of the contest – please contact us if the fee is an obstacle to participation. Multiple submissions from a single writer are welcome. We also look forward to reading international submissions, but all writing must be in English. There is a 3,000-word limit, with no minimum."